← What’s in your pack? By the time most of you read this, I will already be somewhere in Guatemala. It’s surreal to think that this trip is actually happening after so many years of having this as a dream. One of my best friends, Josh, is going with me for the first week, so I’m definitely looking forward to that. Our flight leaves at 6:00 pm on Monday, and we will head to Antigua right away. Updates will start later this week. Growing up, my mum always made us take a picture the first day of school. For some reason, I carried that tradition on even through college with some of my roommates. Figure I should do this for the trip here. So… here are the before pictures. 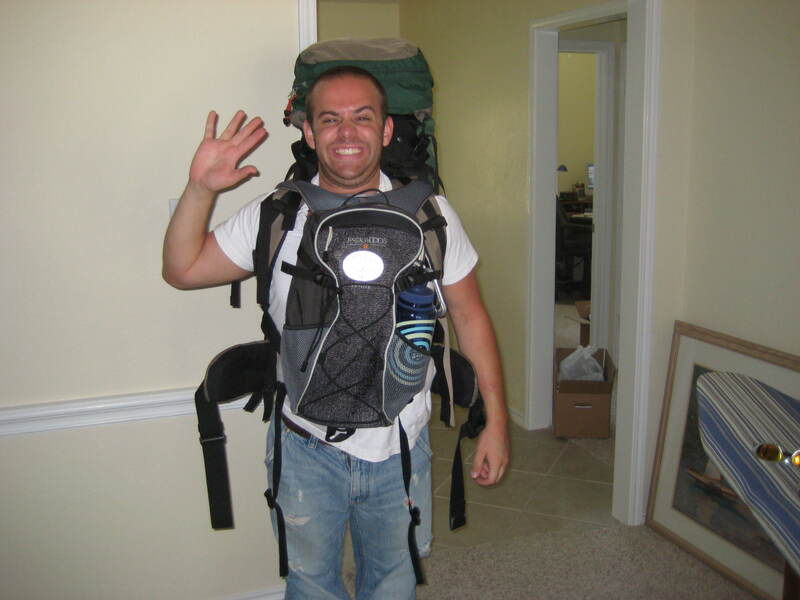 Pack weights approximately 45 pounds… then I also have a very light day pack that I will have with me at all times. Next update will be from the road! Hasta luego! Have fun! We’ll definitely be looking out for your posts on the trip. When you touch down in Antigua, try the dives, or visit historic sites such as Betty’s Hope sugar mill, St. John’s Cathedral and Nelson’s Dockyard. You can also explore underground caves at Indian Town in Antigua, rumored to stretch all the way to Guadeloupe. There are also lots of great little bars and restaurants to sample local cuisine from. And don’t forget to take advantage of duty-free shopping! Wow Eric, that trip sounds fantastic! I’m going to try to do something similar to that after I graduate, but probably across eastern Asia. South America is really fabulous and you’ll love it down there. I’m looking forward to reading updates about your travels and adventures. Best of luck, and have a blast! haha nice pictures…hope your havin fun already! Great to see you doing this Eric. Josh gave me your blog site and I am looking forward to reading all about it. I plan on doing this (on a smaller scale) during summer 2009.
you’re freaking awesome good luck with all your travels!!! john 10:10 live it bro! 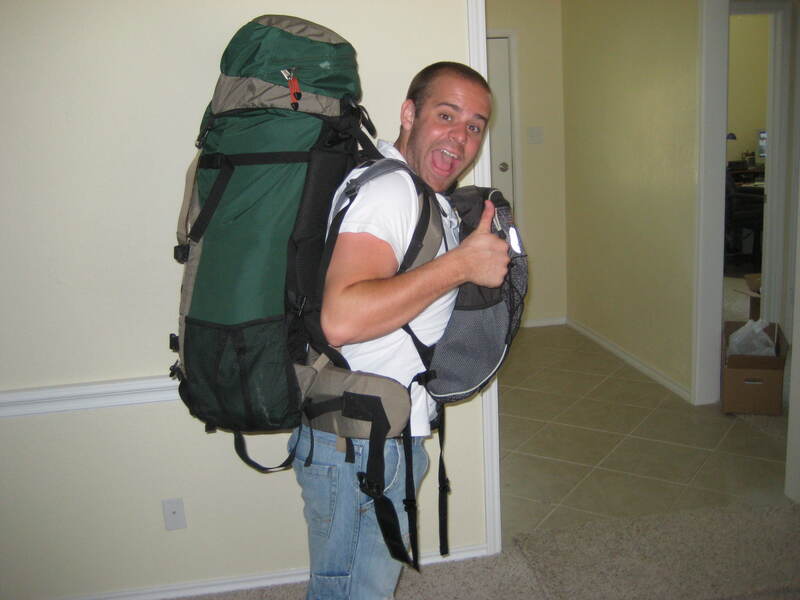 I love your picture of you with your backpack on…..I can hardly wait to put your scrpbook together of your trip. Have fun, stay out of trouble & I miss you. Hey Eric! Just wanted to check in and say hello and let you know I’m keeping up with you through this website! You amaze me! These are the times of your life–enjoy them & stay safe!